Spend some time in nature today. Choose to be active or simply gaze at the stars in the night sky. 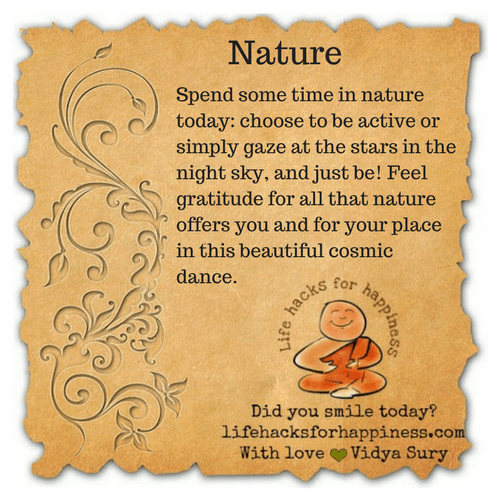 Feel gratitude for all that nature offers you and for your place in this beautiful cosmic dance.